…followed by more stress, and usually guilt and shame. Maybe your thing is a glass (or bottle) of wine, a cigarette, Netflix binge…we all have our vices. We love them for the immediate joy they give us, but it’s amazing how quickly that joy turns to shame when we crash. There’s a point when the ice cream is all eaten, rotting in your tummy. The booze is all drank and now you have a headache. You watched too much TV and got nothing done. Alcohol, drugs, sugar and caffeine keep your body in a stressed state. When someone is already stressed or anxious, these vices can heighten those feelings. While they may make you happy in the moment, they don’t work for the long-term. Our bodies are designed to handle stress, and with a little work we can create an environment that helps our bodies handle it more positively. By taking time to practice stress relief, we can learn to control our bodies’ negative responses. How do we do that? Natural stress relievers help bring balance in your body. When a stressor triggers an emotion or feeling, you can use a natural stress-relief technique to restore what your body or mind needs. The beautiful thing is that you don’t have the negative side effects of medicine, drugs, alcohol or sugar. Rather, you get side benefits! The key is to practice these techniques consistently to train your body the positive way to respond to stress. If you only do them when you’re actually really stressed out, it will never get easier. Some of these are lifestyle changes that need to be practiced on a daily basis. Others you can work toward practicing for a few minutes every day with the ones you like. Why do I preach natural stress relief? Because ice cream, though delicious and wonderful, didn’t help me manage IBS. It didn’t help me get rid of my eczema. It didn’t help me feel better in my body. But meditation did. Journaling did. Herbal tea and essential oils did. I use these natural stress relievers every day, and of course things still bring me stress, that will never change. But I don’t get stomach aches or eczema anymore. I am able to sleep easily at night and I’m pretty damn chill (for the most part 😉 ). So I want to share these with you in hopes that you’ll make a habit of taking time for stress relief. It’s the compilation of ongoing stress without time for relief that causes inflammation and pain in the body. 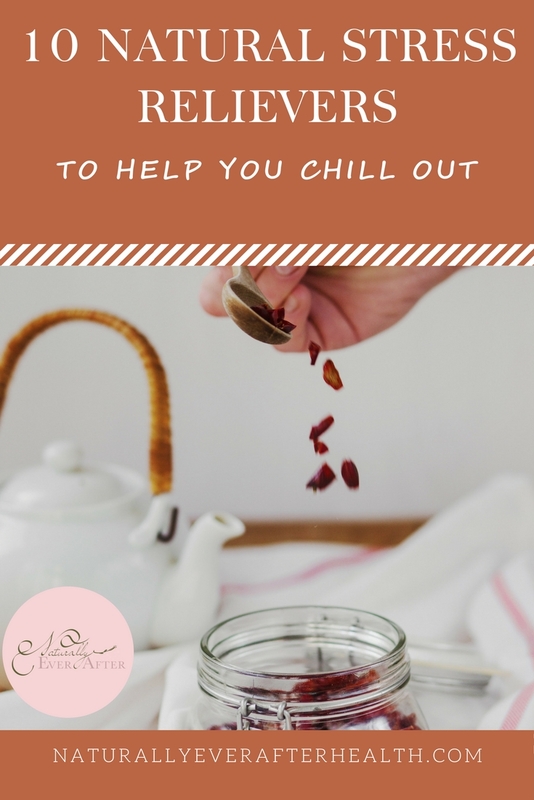 Put time in your schedule for stress relief and try one of my favorite natural stress relievers. Okay, any kind of movement or exercise will help you relieve stress. I particularly enjoy the goofiness that dance brings. I’ll never forget about one afternoon in college when I was going through depression, my roommates got me up out of bed and we danced like goons in our dorm to Shania Twain. You can’t really be sad or stressed when you’re dancing! Exercise, in general, releases endorphins, which help regulate our moods and blood sugar levels. Making a point to exercise and move regularly will help your body maintain balance. Plus, a workout is an awesome place to channel your energy when you’re stressed. Hand in hand with dance (or movement) is music. It’s amazing what music can do for your mood. Upbeat tunes can get you in a more positive state, while quiet, classical music slows your pulse and heart rate, decreasing levels of those stress hormones. I personally enjoy listening to Disney songs when I need a little boost, but calming songs from Norah Jones is a constant for me as well. That soothing music helps me stay calm when everything else is up in the air. I always preach the physical benefits of eating healthy versus the vanity reasons, because foods rich in nutrients can seriously enhance your quality of life. They give you more energy, prevent diseases and even help your body manage stressful situations. Calcium and magnesium relax your muscles, relieve headaches and help you sleep. Protein provides amino acids that are needed for proper neurotransmitter functions. Healthy fats can reduce inflammation. Probiotic foods can influence moods (and acne) by reducing oxidative stress, normalizing brain levels of stress hormones and regulating glycemic control. I know you hear it everywhere how important it is to eat healthy. It’s just like a tired thing now, but do you really know how powerful a nutritious diet is? All of the physical complaints you may have are affected by how you eat. This is preached so much because it’s so darn important and yet most of the world still hasn’t made the adjustments. Start somewhere, anywhere, just do it! Whether it’s closing your eyes and listening to your breath orlistening to a meditation podcast, meditation encourages mindfulness, reduces stress and helps ground you. Doing nothing for a few minutes every day can help calm your body down and give you a good peace of mind. I’m a fan of the Daily Meditation Podcast. Spend some time in nature to remind yourself that you are part of something so much bigger. Being part of the outside world reminds you that your problems can always be worse, making you seem small in comparison to the universe. Sunlight, even in the dead of winter can do wonders for your mood and overall happiness. Make a point to spend a few minutes in the sun every day! Did you know that simply petting a dog’s head releases dopamine? 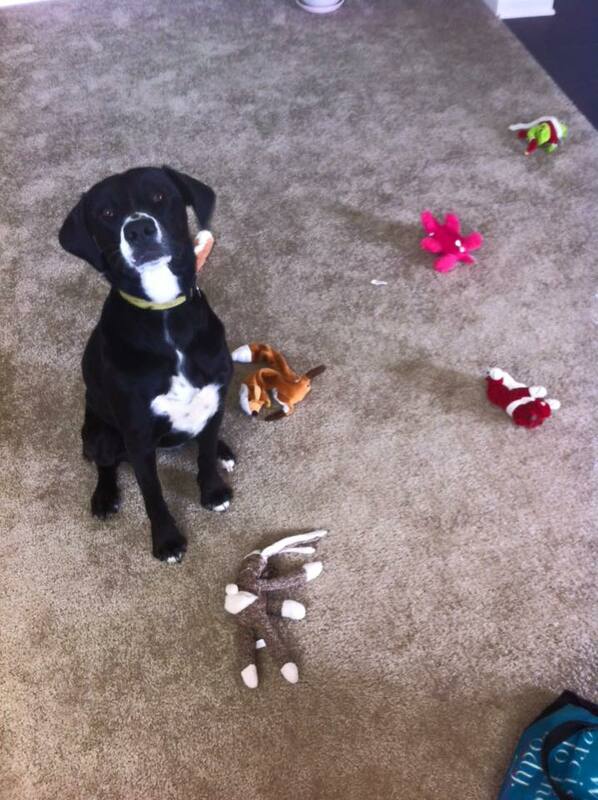 This is why dogs work for therapy. They truly make us happy. If you don’t have a pet, go to an animal shelter. I would gladly let you come pet Yoshi, but I don’t know if she’ll let you. She’s Momma’s girl and you may have to work for it. Make tea your drug of choice. Get high on essential oils. My wind-down routine at night includes a hot cup of ginger tea while my restful blend of essential oils is going in the diffuser. This combo – after shutting all my screens off – never fails to get me in a peaceful state before bed. I can shut my mind off and really relax. Enjoying quality time with other people is a great way to get out of your own head. Let your hair down a bit and have fun with others. Go visit a friend or neighbor and distract yourself from your worries with some healthy socialization. Journaling has to be the single most effective thing for me to help relieve stress. Simply writing down everything that’s on your mind gives it a place to go, a place to live, and frees up space in your head for more positive things. Maybe you don’t write several pages every day, but even jotting down single sentences of what’s bothering you can be extremely effective. I often find that journaling takes my mind somewhere else, sometimes finding answers to what’s bothering me or getting to the root of the stress. Drawing, coloring, all that DIY stuff – you don’t have to be a hero here, but practicing the creative mind in any sort is a great way to relieve stress. 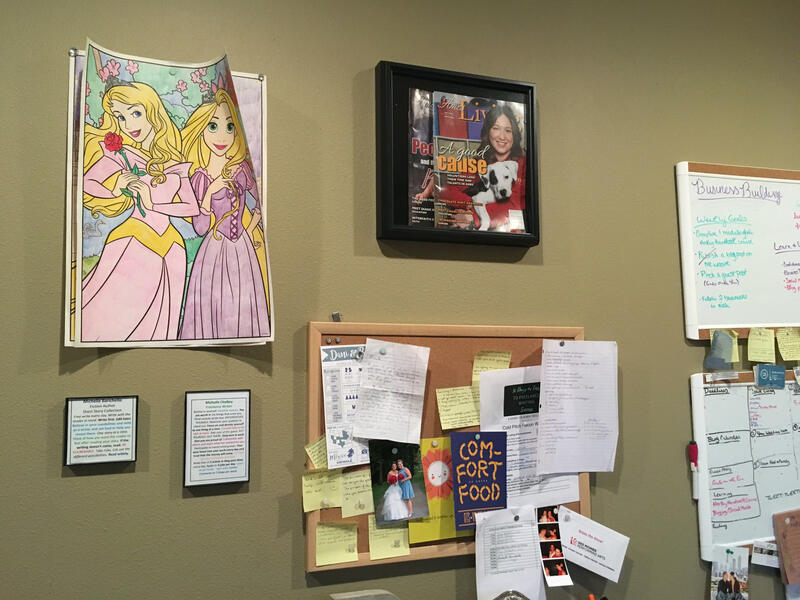 I particularly love coloring – it really helps my busy mind unravel and get lost in pretty princess pictures. Try implementing one or two of these natural stress relievers into your everyday life and see which ones work best for you. What is your favorite way to let go of stress? 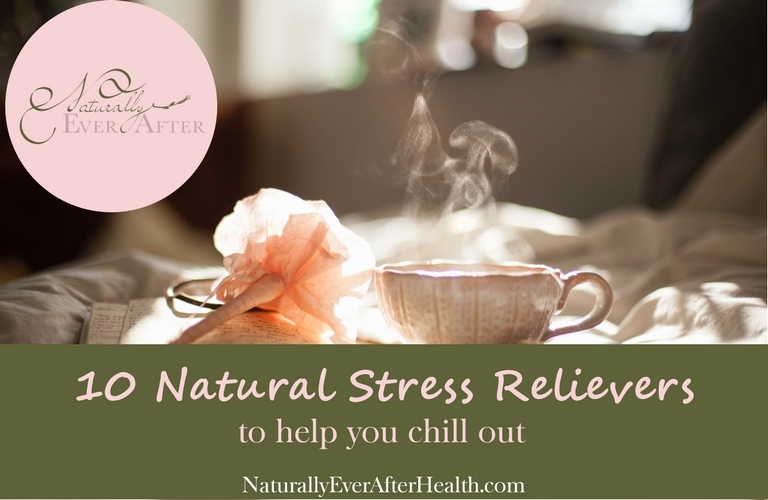 Do you have other natural stress-relief suggestions? Let me know by leaving a comment! Learn to nourish the mind, body and heart naturally! I'll email you only once a month with my favorite tips, tricks and inspiration. Sweet! Now check your email to confirm your subscription. 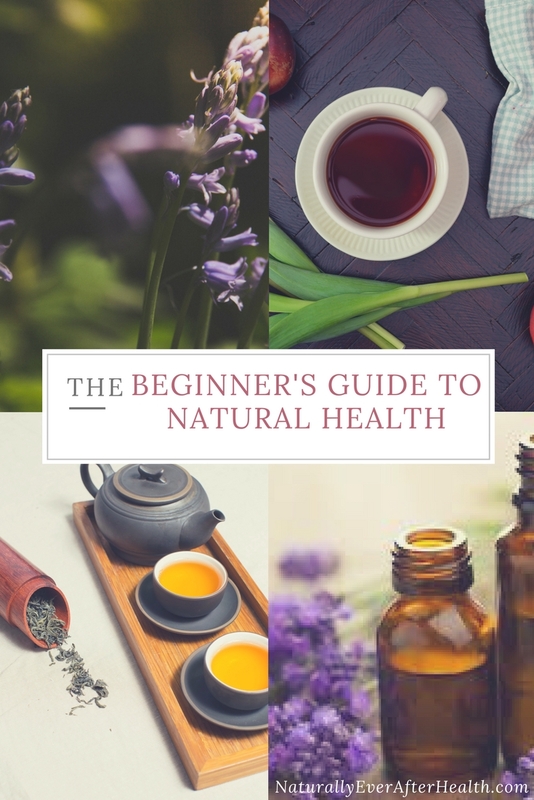 Welcome to the Naturally Ever After blog where we provide natural solutions to alleviating anxiety and overcoming body shame with a healthy dose of self-love. 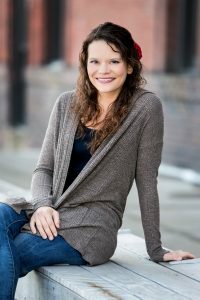 New to natural health? Start here! Join Me in the Naturally Ever After Lifestyle! Sign up for exclusive tips on managing stress, anxiety and negative body image issues with natural health solutions.